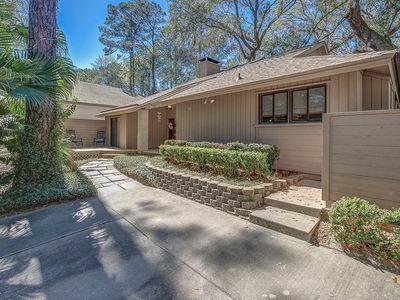 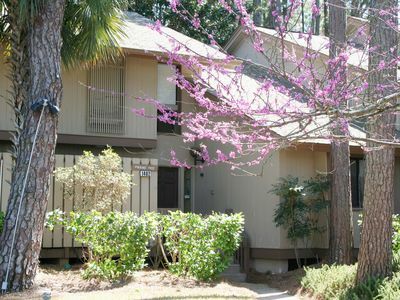 Located In Palmetto Dunes Plantation. 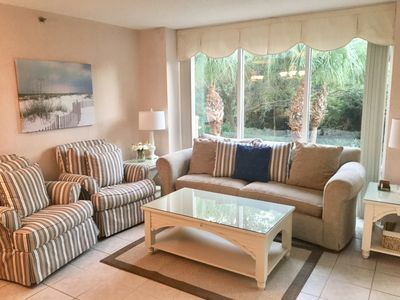 This 2 bedroom villa sleeps 1-6 guests. 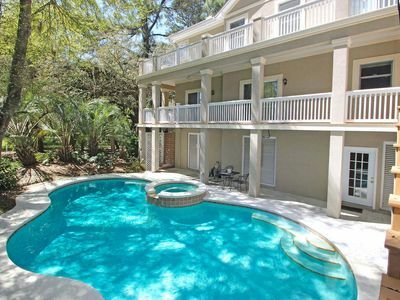 We are on the second level of the Mooring, there is a private pool just recently upgraded last season. 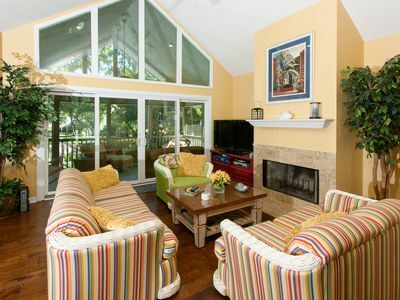 The Master bedroom includes a King size bed, a full bath, and sliding glass doors that opens onto a deck. 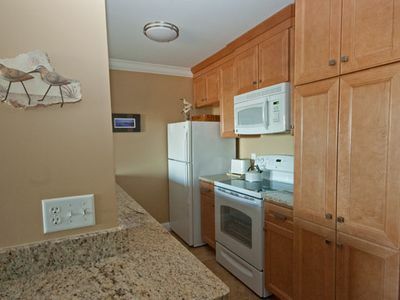 The kitchen is fully equipped, a full bath is off the hallway and includes an apartment size washer and dryer. 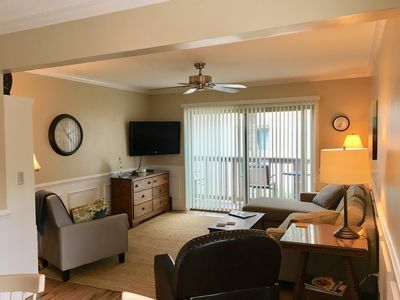 The guest bedroom is furnished with 2 full sized beds and a full bath . 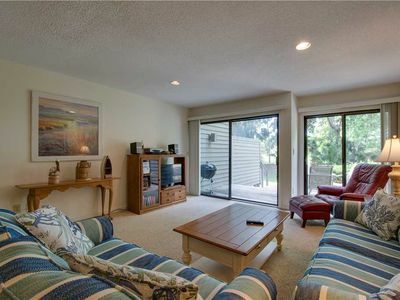 There is also sliding glass doors that open to another deck.. High Speed Internet is included. 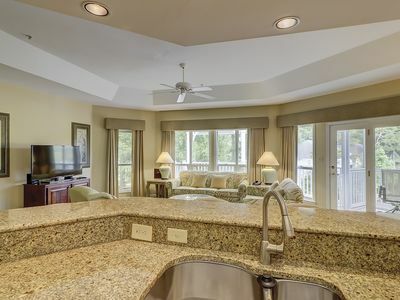 Master Bedroom has a king size bed. 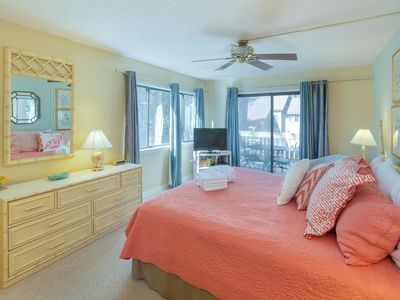 Second Bedroom includes 2 full size beds. 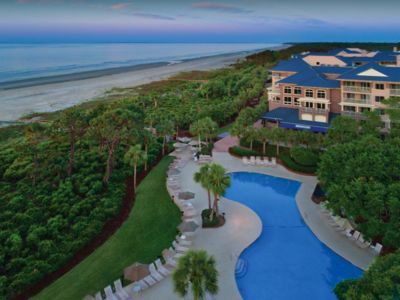 the ocean is within a few 100 feet, there is also tennis, golf , bicycle and kayaks within walking distance. 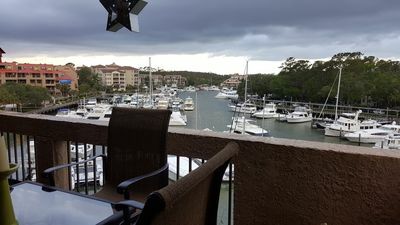 The Moorings is located convently next to the Marriott and between the Marriott and the Dunes House there are restuarants and taverns within a short walk. 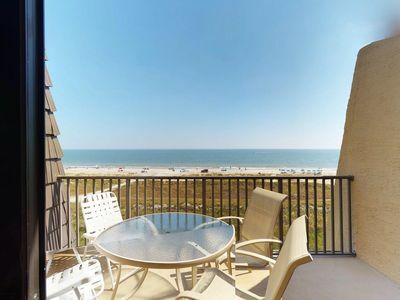 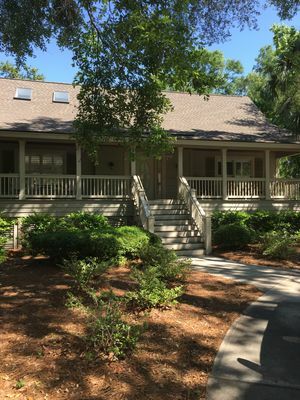 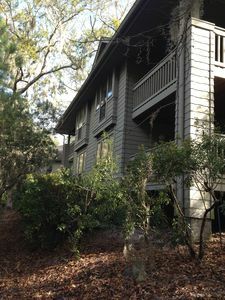 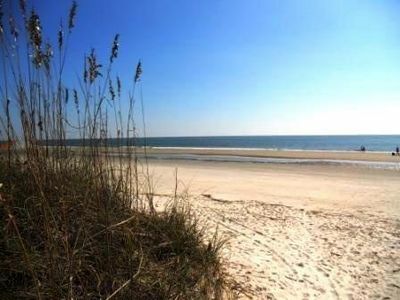 Palmetto Dunes offers a free shuttle service to Shelter Cove which host a number of fine restuarants, shops and night time entertainment such as fireworks during the summer. 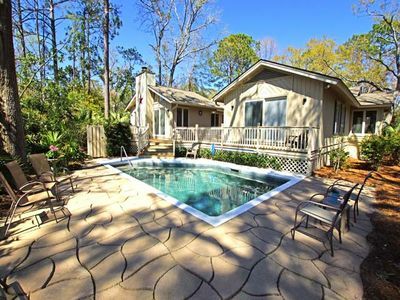 Charming, Family-friendly, 4br/ba Beach House Just Steps From The Beach! 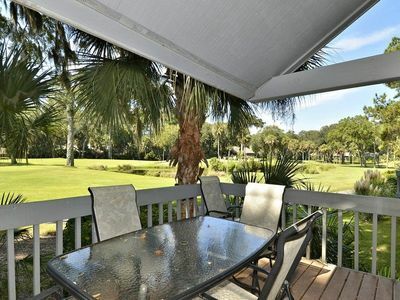 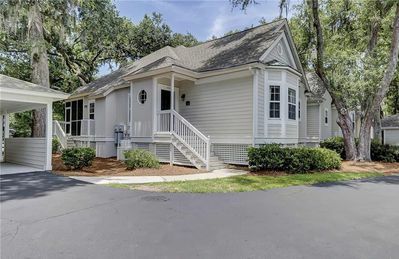 Spacious newly updated home, short walk to the beach with great golf views! 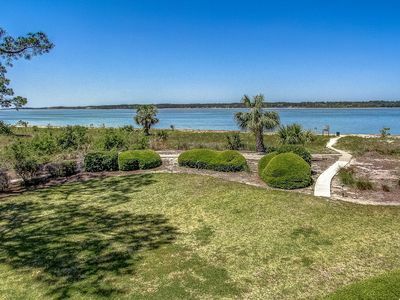 1457 Sound Villas-Calibogue Sound/Beachfront Views! 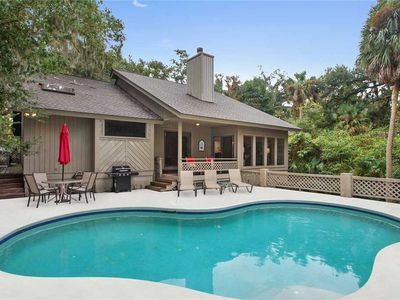 Beautiful, expansive house with private pool and wraparound deck!